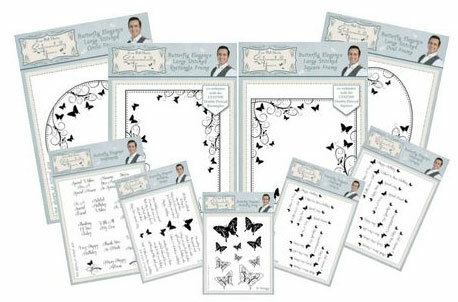 Introducing 9 new stamps from Sentimentally Yours by Phill Martin. 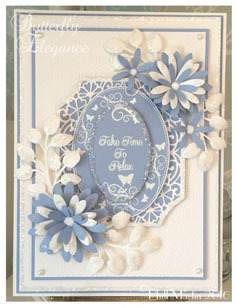 The set includes everything needed to make stunning cards whatever the occasion. 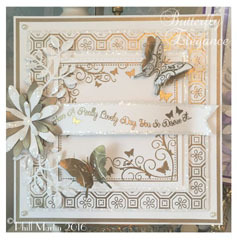 The collection comprises; Sentiment Corners, Curved Sentiments, Birthday Verses, Sentiments, Icons, Oval Frame, Rectangle Frame, Square Frame and Circle Frame. The Rectangle and Square Stamps featured have also been designed to co-ordinate with Creative Expressions by Sue Wilson Double Pierced Rectangles CED5508 and Double Pierced Squares CED5509, adding an extra dimension to crafting projects and getting even more use out of these versatile Dies.